Constructed of durable ThermoPlastic Rubber (TPR), with an antibacterial agent to help suppress the growth of bacteria and mold to protect the brush, the Ergonomic Toilet Brush thoroughly cleans the toilet bowl without scratching the surface. The cylindrical-shaped head reaches into the trap, while the extension is specially designed for thorough cleaning under the rim. The plastic handle has an ergonomically designed grip with a touch of rubber for a comfortable and easy hold. The brush head is designed for use on both sides of the brush so you don’t need to flip it to complete your cleaning task. After rinsing, store the Toilet Brush in its caddy, where it air dries quickly just above the caddy’s base. 13.4 cm x 44.1 cm / 5.3" x 17.4"
Nylon toilet brushes can accumulate bacteria, which can potentially spread to other items in the bathroom. Bristle tips will also begin to fray and soften, which takes away the ability to effectively sanitize the bowl and remove bacteria. Metal brushes can rust and scratch, and can be difficult to clean well under the rim. 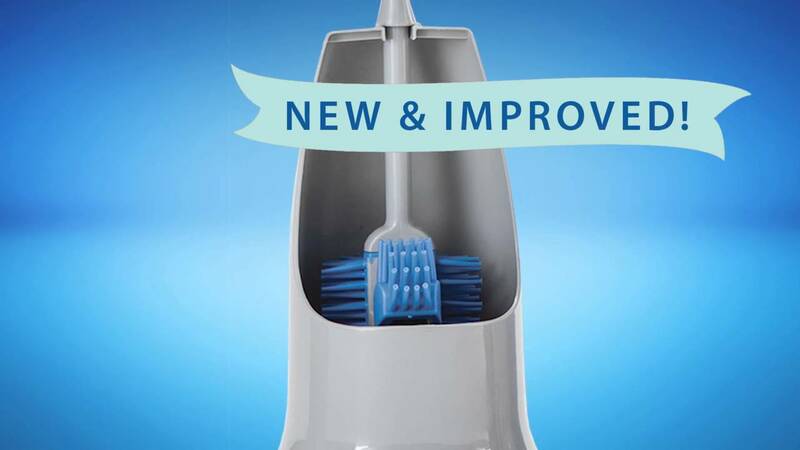 The Norwex Ergonomic Toilet Brush rinses completely clean with only water. The rubber bristles will not scratch or rust over time, which means a cleaner, longer-lasting brush. And the special rim extension is designed to clean the hard-to-reach area under the rim, quickly and easily. Squirt a light stream of Bathroom Cleaner around the inside bowl area. Use the Toilet Brush to clean the entire toilet, including under the rim and on the top edge of the bowl. Allow to work for 3 to 5 minutes and then flush clean. Made of TPR—ThermoPlastic Rubber is more durable and flexible, and it won’t wear out as quickly over time as standard nylon materials. Ventilation space between stored brush and the holder helps prevent accumulation of mold and mildew. Contoured grip handle is designed to help your reach. Special extension is designed to make cleaning under the rim quick and easy. Angled design makes cleaning easier. In 1596, a flush toilet was invented and built for Queen Elizabeth I by her godson, Sir John Harrington. The first patent for the flushing toilet was issued to Alexander Cummings in 1775. Flush your toilet daily, whether it is being used or not. Allowing the water to sit in the bowl can cause mildew and hard-water stains.